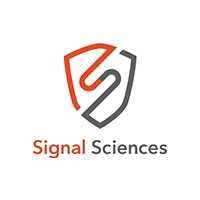 Signal Sciences Web Protection Platform (WPP) provides comprehensive threat protection and security visibility for web applications, microservices, and APIs on any platform. Built by practitioners, for practitioners, it is the only solution that works seamlessly across any cloud and infrastructure. Signal Sciences customers include Under Armour, Etsy, Yelp, Datadog, WeWork and more. The company is headquartered in Culver City, CA.